In an interview with the Ketchikan Daily News, Bishop Edward Burns expressed optimism about the ascent of Pope Francis. While in Klawock for his week-long Pastoral Visit to St. John by the Sea parish, the Bishop stated to the KDN that there was “no doubt in his mind” that Jorge Mario Bergoglio is the right man to shepherd the Vatican. “He’s already captivating the faithful and the people of the world with his humility, zest and love for the poor, his outreach as well as his spiritual depth,” Bishop Burns said Friday. 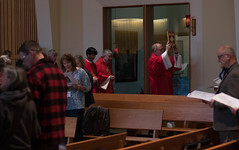 Bishop Edward Burns celebrates the annual Chrism Mass with Diocese of Juneau priests at the Cathedral of the Nativity of the Blessed Virgin Mary in Juneau, March 8th, 2013. Speaking on the new pope’s Jesuit background, Bishop Burns thought it would be apparent throughout his papacy. In the interview with the KDN, Bishop Burns also shared thoughts on the damage to the Church’s credibility caused by sexual abuse by clergy, saying that Francis’ dedication to justice and dignity is what the Vatican needs. 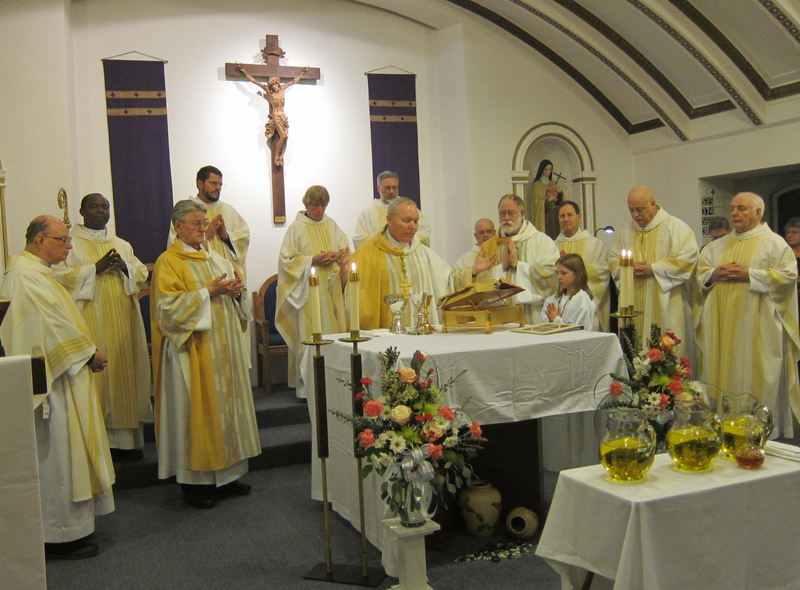 Jesuits have a long history in building up the Church within Alaska. 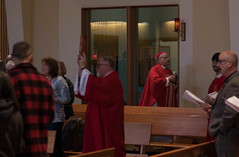 According to the Bishop, the first Vatican-installed official of the church in Alaska was Father Tosi, a Jesuit priest. The first bishop in Alaska, he said, was Bishop Crimont, also a Jesuit. “Pope Francis seems to have more pastoral experience,” Settimo said, “with more impetus toward being a priest of the people and interact with the poor and those very much on the margin (of society).” While he said the new pontiff’s Jesuit past won’t “make a lot of practical difference,” he said it speaks to a renewed “outward” focus of the church. Both Bishop Burns and Fr. Settimo said the push from without for a more modern Vatican with a more open position on current social and political issues won’t change the direction or beliefs of the church. Bishop Burns, who uses an iPhone and follows the pope on the social networking site Twitter, said that while the message will be unchanged, the presentation should undergo change. Much has been made of Bergoglio’s choice of Francis as his name while in the papacy. It harkens back to St. Francis of Assisi, who embraced a life of poverty. Bishop Burns said he was “absolutely impressed” by Francis’ request that those gathered at the Vatican pray for him before he blessed the crowd. Fr. Settimo said it was a revealing act by the new pope. “He is a man who deeply feels his own limitations and need for prayers and help from God” Fr. Settimo said of the 76-year-old pope who has only one lung. Both Bishop Burns and Fr. 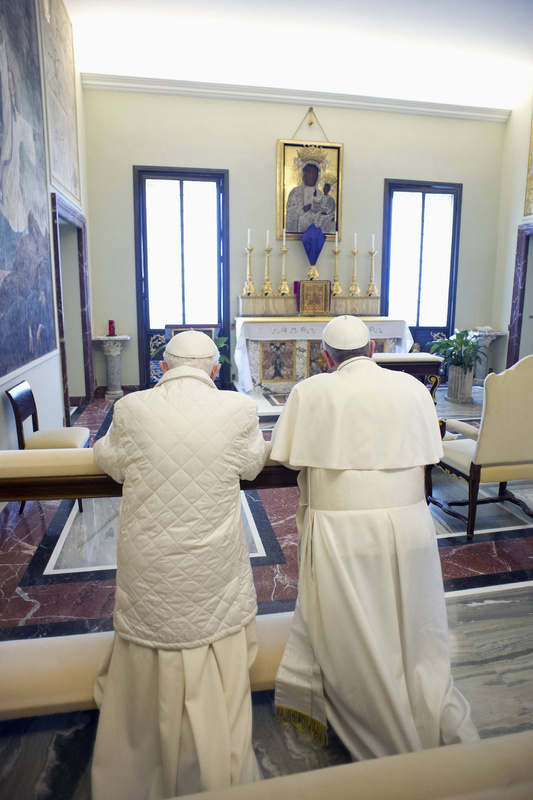 Settimo agreed it was significant that Francis didn’t want to be a pope and when elected, joked with the conclave that they would need to beg forgiveness from God. “It’s great when we’re blessed with a servant leader,” said the Bishop.